I have been an attorney for sixteen years. Prior to my current position, I was accustomed to a lot of autonomy. Rarely did my boss ask me to do something for him. Currently, I do not handle my own caseload. On Thursday afternoon, I find out what assignments I will have for the following week. Work that paralegals typically handle is included in my job description. Often, my boss sends me out to sketchy neighborhoods to sign up new clients. A poor attitude could make this a difficult situation. I admire so many of the attributes that Jesus possesses. One of the greatest characteristics that He models for us is servant leadership. For all of eternity, He is God. Jesus literally lacks nothing. Then He inserts Himself into human history and becomes a man. In doing so, He gives up everything including His deity. Throughout the gospel narrative, Jesus serves others. He turns water into wine at a wedding. He heals every blind, deaf, dumb, lame and demon possessed person that comes to Him. He feeds thousands with five loaves and two fish. At the last supper, Jesus washes the disciples’ feet. The twenty-four hours prior to His death are truly admirable. Knowing what He is about to undergo, Jesus pleads with the Father to forego the cross. Understanding the hierarchy, however, He surrenders to the will of God. Jesus then submits to the Jewish leaders and Pontius Pilot in obedience to the Father. In each situation, Jesus recognizes the authority over Him and obeys it. As followers of Jesus, we must obey our employers and do what they ask of us. We need to do our best at work when the boss is watching and when she is not. I am not talking about sucking up. Rather, I suggest a genuine respect for those that God has placed in positions of authority over us. When we perform a task at work, we need to remind ourselves that we are doing it for the God who died for us. Father, thank you for blessing us with jobs that provide for our needs. Help us to honor those in authority over us by working to the best of our abilities, knowing that our true reward comes from you. Let our work lives be a testament to the example set by the ultimate servant leader, Jesus. Amen. To learn more about Rob, please visit our Contributors Page. 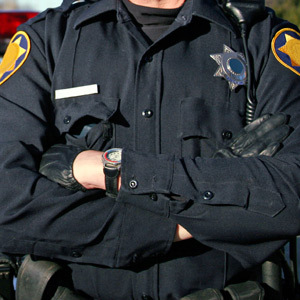 This morning I was looking at a picture of a police officer, thinking about the authority he has been granted. He didn’t one day decide he has the “right” to arrest people, stop speeding drivers etc. No, he joined the force, received training, passed the requirements and was given a uniform and a firearm. His uniform is an outward sign of authority, which is backed by the laws of our land. We acknowledge his power and authority to carry out his duties. But what if He woke up every day put on his uniform and did nothing? Like the police, authority has been given to all believers by the ultimate authority, Jesus Christ. He has given us ALL authority to trample on demons and to cure diseases (Luke 7:8…Matt 10:11). And where did He say His authority comes from? He said it’s from His Father (John 10:18). My question is this: Are we believers in agreement with what the Word of God says about our given authority? This messes with me – my set ways of thinking – and I wonder, “who am I to be given such authority?” But the Lord stretches me – stretches all of us – so that our knowledge of the Truth expands until we see things from God’s kingdom perspective. It ‘s scary to see things God’s way, sometimes. But today, I submit to His truth about my authority. How about you? Are you willing to believe and walk in the authority given you by Jesus himself? “‘Very truly I tell you, whoever believes in me will do the works I have been doing, and they will do even greater things than these, because I am going to the Father'” (John 14:12). To learn more about Linda, please visit our Contributors Page. Mother’s day is such a special holiday, not because I am a mother, but because I have one. My story began with adoption at birth and I celebrate the beautiful woman who chose to take me in and love me as her own. As a child I thought honor just meant doing what you were told and following the rules. Now that I am an adult and live 2,000 miles away from my mother, I no longer have Mother’s rules to obey. Even though there is a place for obedience, it’s not everything. There’s honor. Now honor looks a lot different from simply obeying the rules and the ones who enforce them. On Mother’s Day, I also honor my birth mother – value the woman who chose life for me – because she loved me enough to give me a chance for a good life. This has always been bittersweet for me. As a child I was so upset because I longed to know her even though my life with my adopted mother was good. I’ve never met my birth mother, but I still feel honoring her is important – mostly through prayer – thanking God for her and praying God’s blessing over her life. The great thing about mothers is that we can have spiritual mothers, too. God can send women into our lives who pour love and encouragement into us like a real mother. It has been a privilege to have several of these special women in my life. Ephesians 6 tells us that honoring our parents is the first commandment with a promise attached; that if we honor them, things will go well for us and we will enjoy a long life on the earth. The relationships we have with our parents can affect all of our other relationships, even our relationship with God. When we are walking in honor, our relationships flourish. There is opportunity to give and receive blessing from each other. It’s safe to grow and learn together. It’s okay to be vulnerable and allow forgiveness to freely flow. As Mother’s Day approaches, whatever your relationship is with your mother, be encouraged to think of how you can honor her. 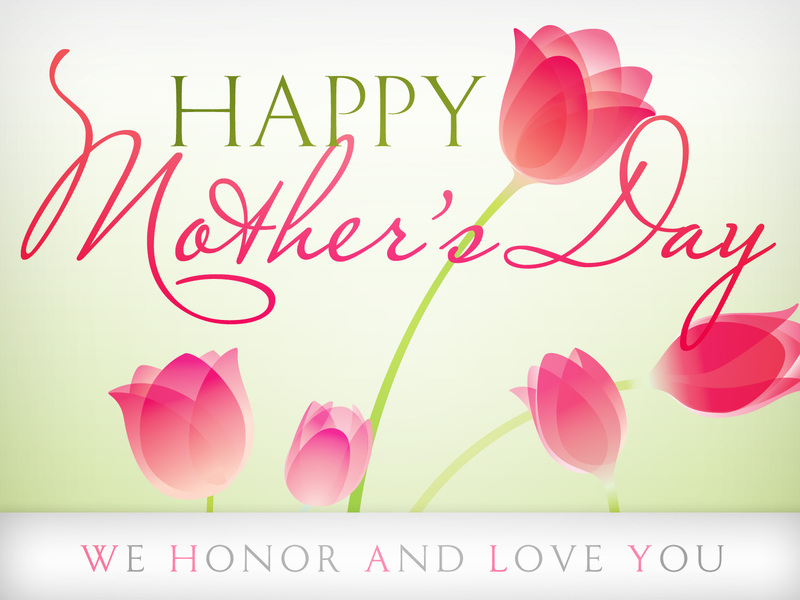 Look at the people in your life who have been like a mother and honor them as well. To learn more about Julie, please visit our Contributors Page. Though I couldn’t see much I could understand exactly what was happening. I had no physical form yet, but I knew it was me. God was hovering over me as He created me. A tangible ‘waiting’ and awe hung in the atmosphere. It felt like heaven held its breath. His anticipation and desire for me were so intense – it is impossible to describe. When I awoke I could still feel this love. I was undone. The awe of the dream stayed with me for a few days, but I was perplexed by the dream. It didn’t fit my theology: I saw a love that was so unique toward me that it was like I was His favorite; like He loved Mandy in a way that no-one else could know. I was embarrassed to feel like this until I realized that it was true. He loves each one in a way that is so intimate it is only shared by God and the one He loves. We are all His favorites. But how can there be more than one favorite? God reveals this mystery to us through our own ability to love. The Father has made us moms and dads like Him- we love as parents because we are created in His image. When my first baby Lindy came I knew I could never love another child like this. Then came Jenna; suddenly my heart instantly had a new chamber. I loved Jenna with a ‘Jenna love’, so intimate that only Jenna and myself could share this. Jenna was my favorite and so was Lindy, whom I loved with a ‘Lindy’ love that no-one but the two of us could know. We develop new love chambers as we birth new children no matter how many kids we have. If one child is lost we could never fill our empty chamber with another child because the original child is irreplaceable. So it is with God; no-one can be replaced. If a person will not receive God’s love there remains an empty chamber in His heart. 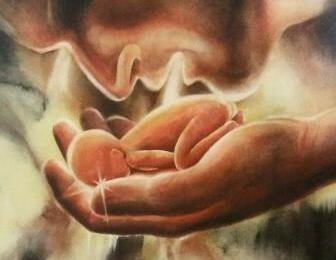 No one could ever fill that place in God’s heart reserved only for one child. He loves us uniquely and He has specific dreams for each of us to fulfill that no-one else can fill. It is impossible to lose our value though sometimes we may feel like it. The value that He first created in us remains in us and nothing can strip it from us because God breathed it into us. Not sin, hardship or unbelief. When we were in our worst state God still valued us so much that he gave everything for us and now through His blood we can be perfectly restored to His heart. ———-(your name) is valuable to his/her Father. ———-(your name) is irreplaceable to his/her Father. ———-(your name) is intimately known by his/her Father. ———-(your name) carries a piece of his/her Father’s dream that only ——– can step into.